My son loves playing with his small farm toy and their animals! So I thought I would try to make a farmers costume. 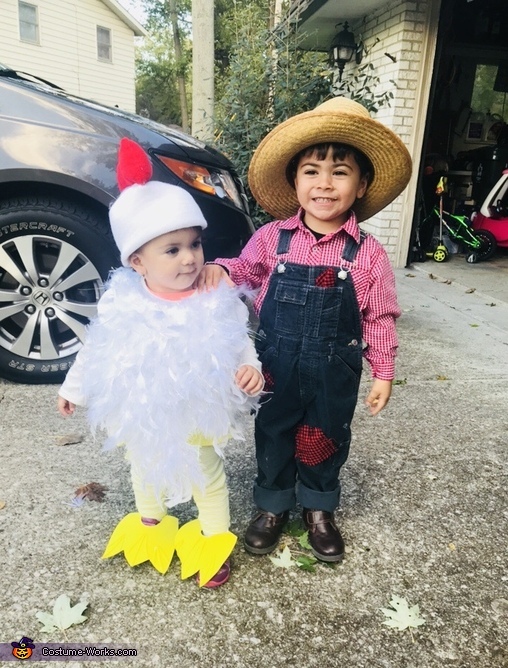 Then after thinking of what to do for his sister, I seen on a Facebook a baby dressed as a chicken so that’s when I thought she should be a chick. For the farmer you need overalls, extra fabric, straw hat, & boots! For the chicken a white tee, white hat, red fabric & cotton for on top the hat, white boas, cotton for the belly part.